Versatility also makes this bag ideal for quick games, as well as other pursuits such as walking, bike rides etc. 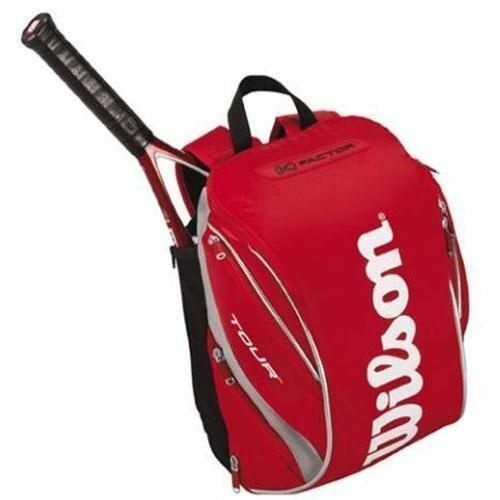 Suitable for any sport but designed for racket sports, the Wilson K Factor K Tour Back Pack is a great looking, hard wearing and classic design Wilson bag that has space for 1-2 rackets, your shoes / footwear, clothing and balls etc, making it the ultimate and easy tennis companion. for submitting product review about Wilson K Factor K Tour Back Pack.